upport of Kristina, we endeavor to raise $1,250 towards this amount with the remainder being paid by the UU Church of Youngstown. No funds have been allocated from our current operational budget. Kristina Spaude has been a member of the UU Church of Kent since February 2007. Having served as a lay leader in many capacities, including pastoral care, stewardship, worship associate, social justice, and as a youth group advisor, she finally answered the call to ministry and began seminary at Meadville Lombard Theological School in 2012. 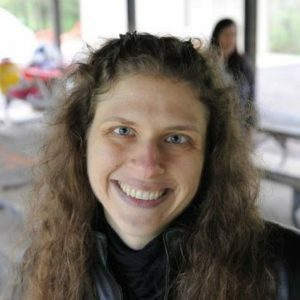 Kristina has since served as Director of Religious Education at SouthWest UU Church (North Royalton), Intern & Sabbatical Minister at the UU Church of Youngstown, and is currently a Chaplain Fellow at the Cleveland VA Medical Center. Her passions in UU ministry include leading worship, pastoral care, social justice (racial, disability, LGBTQ+ especially), and faith formation for all ages. She is grateful to be called for ordination by the congregation that loved her into ministry. Donations for Kristina’s ordination celebration, in any amount, can be made by check to UU Church of Kent with “Kristina’s Ordination” written on the memo line, or you may also donate online via PayPay at https://kentuu.org/giving/donate. Choose “other,” and make a note in the memo section designating your donation to “Kristina’s Ordination.” Please note that donations are not required to attend the ordination and reception. Your generosity is appreciated. Please look for an invite to the celebration in the coming week, and save the date: June 30, 2018!